The three One Night Stand productions that we casted for are featured at Netherlands Film Festival this year! Patagonia is a beautifully told story about a young couple that’s been traveling Europe for years with their 5-year-old son. Driven by adventure and hungry for the unknown they are trying to reach their ultimate destination: Patagonia. Everything is perfect until the unexpected need for setting roots kicks in, making Patagonia further away than ever. 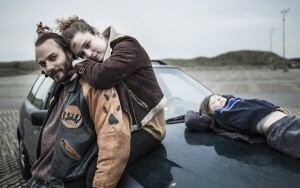 With Zoë Thielemans and Maarten Ketels as the main cast members, Patagonia proofs once again that a Belgian-Dutch coproduction works very well. And then there is Wildflowers, the tale about Juke, a woman in Friesland who is questioning her always so stable lifestyle when she meets Joan, a newcomer that turns her life up side down. It makes you realise anything can change and anything is possible, when the right person comes along. Starring in Wildflowers is Dette Glashouwer, who portrays Juke in a mesmerizing way as a tough, but vulnerable character. Joan is beautifully played by Suzan Boogaerdt. The on-screen chemistry between Suzan and Dette is truly undeniable and makes the characters really come to life. A Good Life with a Happy Ending (a.k.a. Een goed leven met een gelukkig einde): who doesn’t want that for themselves? Ariane Schluter plays Helen, a happy, wealthy woman, who has everything her shallow self has ever wanted, until her husband dies. She looses everything they (he) ever worked for and is forced to take ten steps back from the comfortable, easy life she led. Weeks and months go by and slowly but steadily, with help of her unlikely new friend Joeri (brilliantly played by Jonas Smulders), the shallowness drips away and out comes the loving, but naïve woman that needs to learn about life again. With two Golden Calves nominations in the pocket, young director Aaron Rookus can be very proud. We can’t wait to see the One Night Stands premier on September 27!